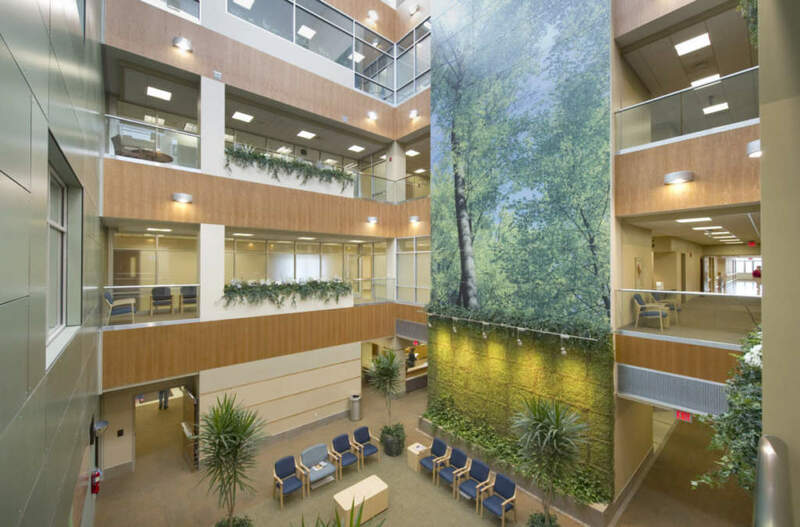 Through a 4-phase plan execution, Weigand performed a full on-site replacement of Community Hospital’s existing building in downtown Bryan, OH, while keeping the hospital fully functional throughout the process. After demolition and 4-story additions to the east and west of the existing building, an addition was completed on the west wing main entrance. The existing building was then upgraded to match all additions. In the end, the project resulted in a new 9-bed maternity unit, a cardiac catheterization lab, a new medical/surgical unit, an expanded ER, a new intensive care unit and a new pediatric unit. Food Services were also expanded, as well as the gift shop and public spaces available to families, visitors, and community health and wellness groups.